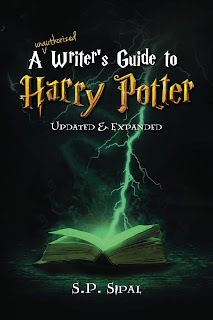 Updated and Expanded Edition of A Writer's Guide to Harry Potter Releases Soon! I'm thrilled to share some exciting news. A newly updated and expanded edition of A Writer's Guide to Harry Potter will be releasing July 26, 2016! 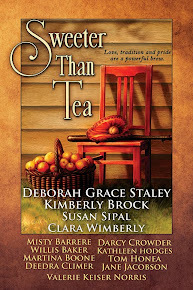 My publisher, Deep River Press, has some wonderful plans for this 5th anniversary edition. 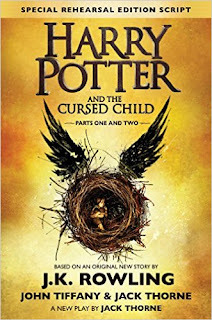 First, the book has been completely revised and expanded with more examples and some new analysis, including thoughts on the upcoming Harry Potter and the Cursed Child and Fantastic Beasts and Where to Find Them. 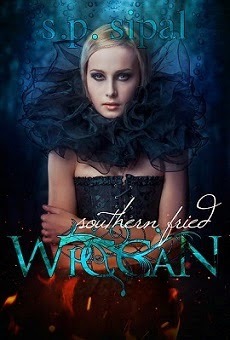 This edition will be available in both paperback and Kindle through all major retailers. But one addition I'm truly excited about are the upcoming workbooks and teachers' guides. 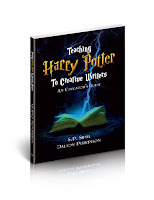 Encouraging a love of creative writing with Harry Potter as the text is a natural step for many teachers who grew up on the series. Now, we'll provide educators with workbooks at two levels, middle grade and upper grade, along with a teacher's guide to help make this an exciting enhancement to the classroom curriculum. If you've read my Writer's Guide in the past, or attended any of my workshops, and would be willing to give me a quote, or are interested in reading an ARC of the new book and providing a review, please contact me at SPSipal AT gmail.com. 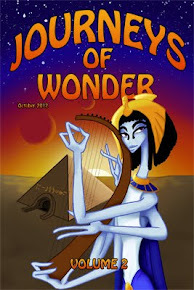 Or, if you're an educator interested in the workbooks and teachers' guides, you may contact my publisher at publicity AT deepriverpressinc.com. Check out the new book on Amazon here. It's available only for preview until July 26, but you can add it to any of your wish lists now. Note: I will also be teaching from the new Guide and using the workbook when I teach the class at Central Carolina Community College from July 14 through August 8 at the Pittsboro, NC campus. See more info and sign up here under the link for The Crafting of a Bestseller. No matter your genre, this guide will help you strengthen your craft by virtually apprenticing under a bestselling mentor. 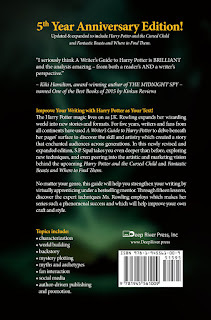 Through fourteen lessons, discover the expert techniques Ms. Rowling employs which makes her series such a phenomenal success and which will help improve your own craft and style. Certain corners of the internet have been blowing up the last few days over Harry Potter and the Cursed Child. The trouble started brewing when JK Rowling announced in December 2013 that the long-awaited next installment (sorta) of Harry Potter would be a play. A theater production in London. Something only a few people among her millions of fans could attend. Those around London. Or those with money. Needless to say, fans were NOT happy! And for good reason. Fandom is a large reason that Cursed Child is even possible. It seemed the beloved headmistress of reader magic was deliberately cutting off the people who had made her such a success. Hearing these rumblings, Jo and her people deliberated, doubtlessly, and on February 10, 2016 another announcement was made that Cursed Child would be published. A book! (Sorta) Of the script, at least. Something all fans could read!! 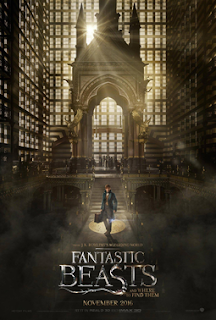 (By the way, this is the same plan for the upcoming film, Fantastic Beasts and Where to Find Them -- a scriptbook to be released along with the movie). But then the play's previews were announced. Seven weeks before the book Cursed Child is to be released, a very few lucky fans have been able to actually SEE Cursed Child in London's West End Palace Theater. Those lucky few have been told to #KeepTheSecrets. Not spoil the unlucky millions waiting for the book's release. But, of course, the Fidelius charm only works with a very trusted secret keeper. So fandom is heating up again. It's not fair! Some people are getting to see a play earlier than we can read it! Spoilers are everywhere! I can't view the story in its intended format. At the heart, I think, is a sense of loss, a collective bereavement for a time that may never come again...and yet, for a glimmer of a moment, we thought it had magically re-apparated. That time when fandom was ONE in waiting for, instantly opening, and together reading the highly anticipated new release. Good times. Believe me, I understand this universal sense of loss. I stood in line for each new Harry Potter release, read as much as I could over night, and was ready to shoot out new theories for the next book the next day. Sigh. I'm upset too that I can't afford to hop on a plane to London, book a hotel, and purchase expensive theater tickets...for two nights! Because Cursed Child is a play in two parts, with a cliffhanger ending at the end of the first. But I'm a writer too. An artist like Jo (sorta, don't have that legions of fans things going on, ya know). And there's one thing I feel passionately about -- the right to tell my story the way it needs to be told. Each story dictates to me how it should be told. Almost everything I write is in a different genre, category, format, or style. 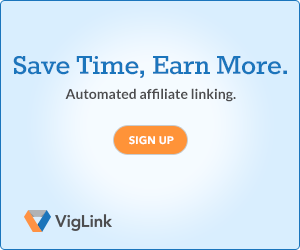 If I want to forego the advantage of building a fanbase in one medium, that's my choice. I've chosen the artistic life not for the fame (ha! ), or the money (bent over in hysterics), but because of the intense, driving need to get the stories out of my mind and out to the world in a way that is as true to them as it possible in this materialistic business. Despite Jo's millions of fans, and maybe even more so because of them, she STILL has the right to choose her canvas. She has every right to tell her story in the way it needs to be told, to remain true to her artistic vision, to broaden her creativity, even if that means some people get to experience it before others. Of course, she has a responsibility to her fans as well. Respect and story-telling is always a two-way street. But that's what the book is for. She listened to the fans whom she's always treated well*. She responded. And now, for her readers to demand that they get it all, to time-travel back to an experience they adored, is, in my POV, a bit self-serving...and living in a fantasy world. I'll never forget the power of waiting among a unified community of passionate readers for the release of a book....as if the biggest rock star had come to town. But I'm now equally excited to see what a woman of such creative magic can do for stage and screen when she is allowed free rein with her artistic tools. What about you? Are you eagerly awaiting the release of Cursed Child? Or content to let your Harry Potter years rest preserved in your memory? *Putting aside, for now, the controversy surrounding the Pottermore release of four stories related to Fantastic Beasts and the criticism the first drew regarding cultural appropriation. I'll discuss this in a future post.